Reveal a soft and supple look to your complexion with the DHC Coenzyme Q10 range, a collective of firming products to smooth your skin. Coenzyme Q10 adds a new lease of life to your skin’s energy levels, boosting collagen production whilst shielding your skin from harmful free-radicals. 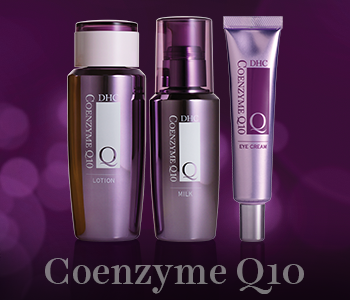 Designed to re-plump the skin and tighten your complexion, the Coenzyme Q10 range protects the tone of your skin whilst encouraging a more youthful result. Available in skincare, makeup and haircare products, provide your skin with the ultimate in anti-aging care with the DHC Coenzyme Q10 range.